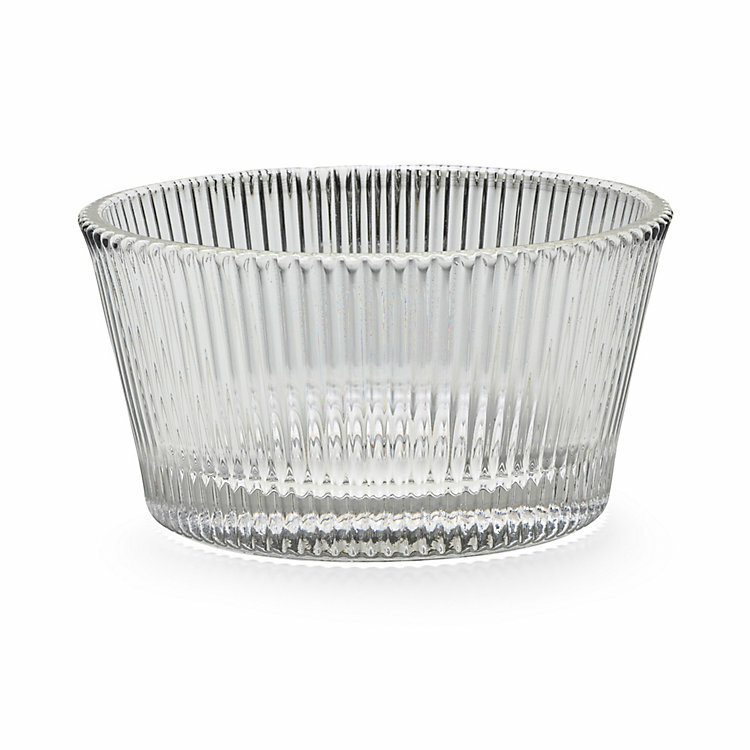 Ribbed dessert bowl: Pressed glass. Volume 170 ml. Height 5.5 cm, Ø 10 cm. Weight 270 g.
This relatively thick-rimmed dessert bowl made of pressed glass in which patissiers prepare their confectionery was originally a paper mould which is now made of glass.